Everything you need to know about push notifications: what they are, how to create great interactions using push, and how to measure their effectiveness. Push notifications are messages delivered on mobile devices - typically mobile phones. You’re probably familiar with them from your own device. 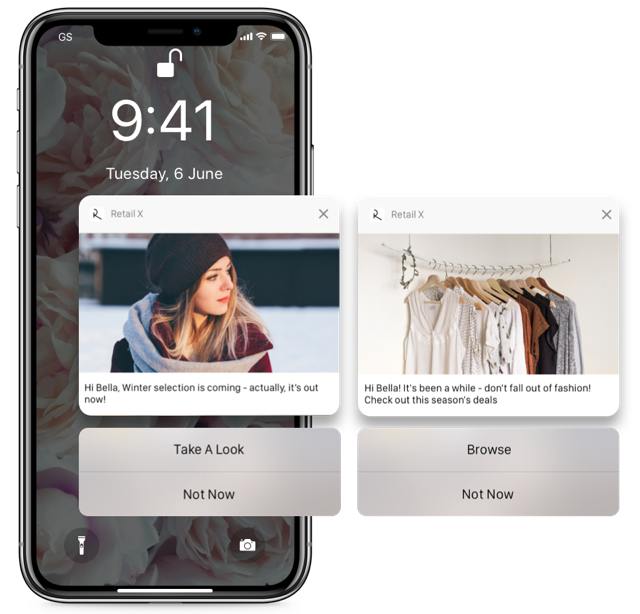 Whilst push notifications on Android and iOS can differ in some key ways, in general they serve one key purpose: they communicate with users when they are outside apps. This means they can be used to bring people back into the app, or alternatively let users know about something that we’d like to tell them about. Those examples should demonstrate that used wisely, push notifications can strengthen the relationship between brand and consumer, and help increase customer loyalty, engagement and ultimately revenue. But to do that, they must be used thoughtfully and wisely. Let’s look at how to do that. Don’t rely on the default OS opt-in message for push notifications. This is usually factual, direct and won’t help provide context to the user. Do create in-app campaigns that are shown before the standard OS opt-in procedure. These should clearly articulate WHY the user will want to opt-in for push notifications, couched in terms of their own benefit. 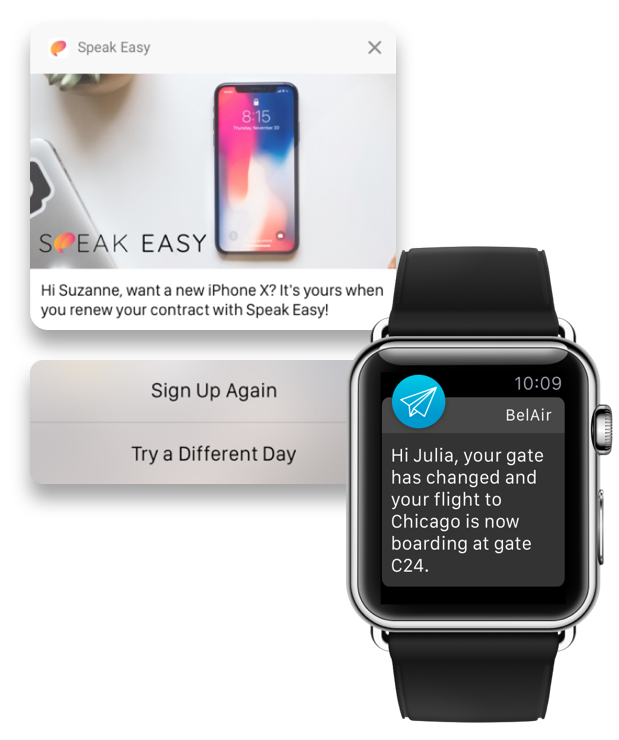 Letting someone know that push notifications are used to help them during travel (for an airline, for example) is likely to drive up opt-in rates. Experiment with timing. The right time to ask for opt-in might be the start of the second session. Then again, perhaps immediately after the user performs a task that can be meaningfully followed up with a push campaign (“we can let you know when your parcel is shipped” for example” is the right time to ask. Test and find out. Put all those elements together and you’ll see opt-in rates increasing by up to 30 or 40% - meaning better results for marketing and communication via push notification in the future. We have an audience. What happens next? It is all-too-tempting to give in to the temptation to send lots of push notifications campaigns to lots of people, but that’s usually a mistake. Whilst the marginal cost of sending a push campaign is effectively zero, the actual cost to your business can be much higher. You are irritating your customers. Indeed, in many cases you are irritating your best customers - those with a sufficient attachment to your brand that they are willing to download and use an app. The net result is an erosion of brand loyalty - that can manifest itself in very direct ways like deleting the app. A good way to lose a customer. At best, you are teaching customers to ignore you. That may not mean a great deal in the short term, but in the medium and long term you’ll find that when you really need to talk to people, you’re out of luck. Don’t make that mistake. Instead, ask yourself this simple question when planning any push notification campaign: is this campaign something that the individual members of my target audience would actually appreciate at this moment in time? Ultimately, it is only by answering this question honestly and in the affirmative that you’ll deliver great service via push and as a result build rather than destroy relationships. By including content personalized to the user, you can dramatically increase the effectiveness of notifications. Make your push content as relevant and personalized as possible. That means going well beyond “hello <>” and instead folding in whatever individual detail can make any individual campaign really ‘break through’. If, for example, you’re sending a push notification in order to let someone know they’ve left an item in their shopping basket (possibly on another channel), than name the item. If you’re letting someone know their flight is open for check-in, name the flight. It works. 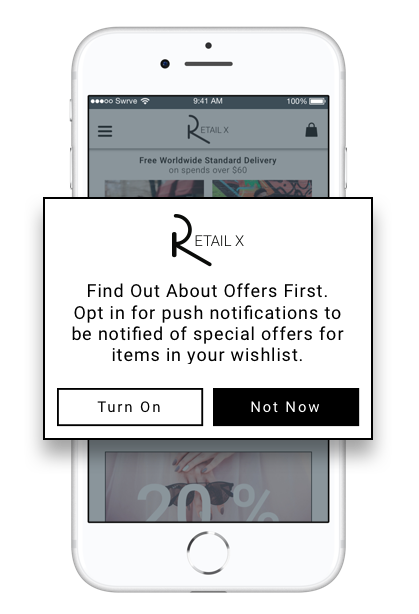 Target your push notifications - all the way to an ‘audience of one’ if necessary. It’s time to stop thinking in terms of ‘campaigns’ and think instead in terms of an automated platform that sends relevant messages to relevant individuals when they need them. 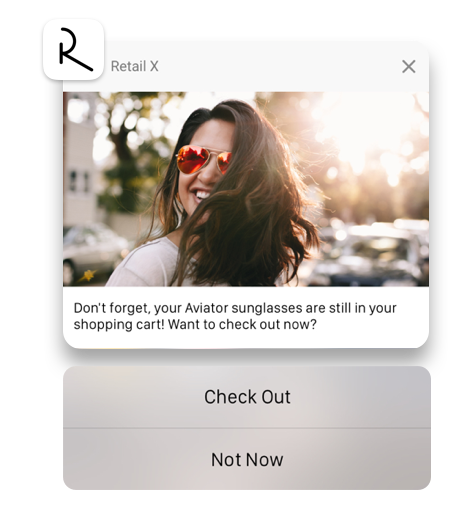 To do that, of course, you’ll probably want to integrate your push notification platform with internal systems, in order to let customers know when an item they are interested in is on sale, or when their balance is below a certain amount. Make that happen. Use rich media in your push notifications. Modern mobile OSs support the addition of images and even video to push campaigns. Use that capability to ensure your campaigns hit the mark and generate user attention. Along the same lines, make sure your messages use interactive capabilities. It is now possible to manage quite complex interactions entirely outside the app. When appropriate, use location as a trigger. One key and often over-looked benefit of the mobile phone is that users tell us where they are at all times (or some of them do). As any push notification campaign is a way to speak to people in the moment, location clearly brings valuable context into the fold. For example, you might want to remind customers of your currency exchange service when they arrive at the airport, or that a nearby store has an item available they’ve browsed either online or on mobile. Test. It’s always important to use real user data when it comes to making decisions relating to content, and never more so than when sending push notifications. You have a limited amount of material to capture the user’s attention, so it’s important to make it count. Use A/B testing to ensure you’re sending the best possible campaigns every time. Always test the creative of your push notifications. Expert opinion is no match for user data! Finally, a word on measuring success. There’s a short answer and a slightly longer answer to this question. The short answer is: don’t measure the success of push notifications using click-through rate as a metric. The reason is simple - it is relatively easy to game this number by creating ‘clickbait’ content that might get people to the app, but is equally likely to disappoint them once they are there. Instead, always consider what actual success looks like. If you want users to buy a particular item, make that your success goal and run tests and reports on that basis. If your push notification campaign is designed to increase total engagement, again - use that metric to establish the difference between those who received the push and those who did not. And always look at the broader picture. It is possible to drive up specific metrics whilst damaging others that may in fact be more meaningful.